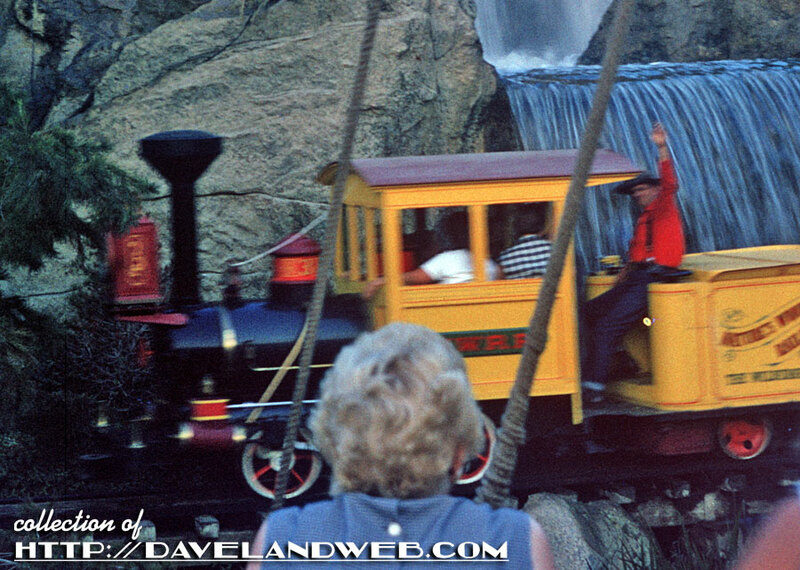 Recently The Disney Corporation publicity machine released news that the Railroad will be opening "this summer" and talked about the five new waterfalls that would be featured along the way. 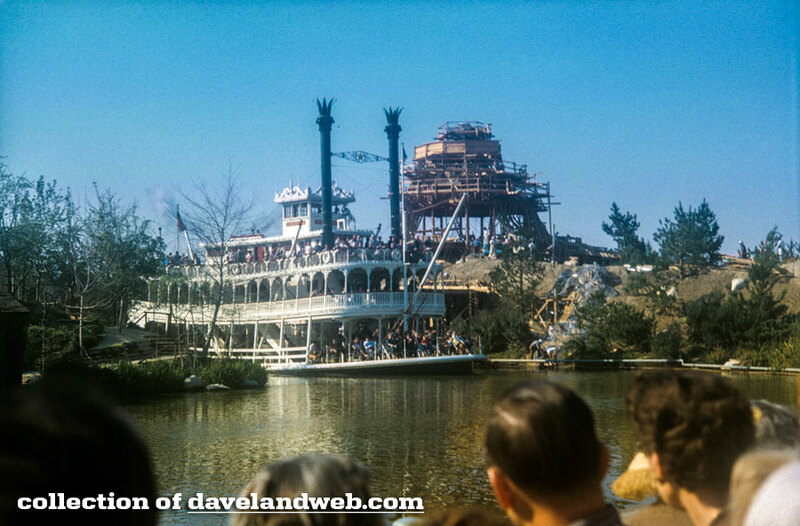 Trotting out a little history, it will be nice to have these new water features, as the loss of Cascade Peak has been a sore spot for many a vintage Disneyland fan. For those of you who have never heard of Cascade Peak, here's your 101 course. 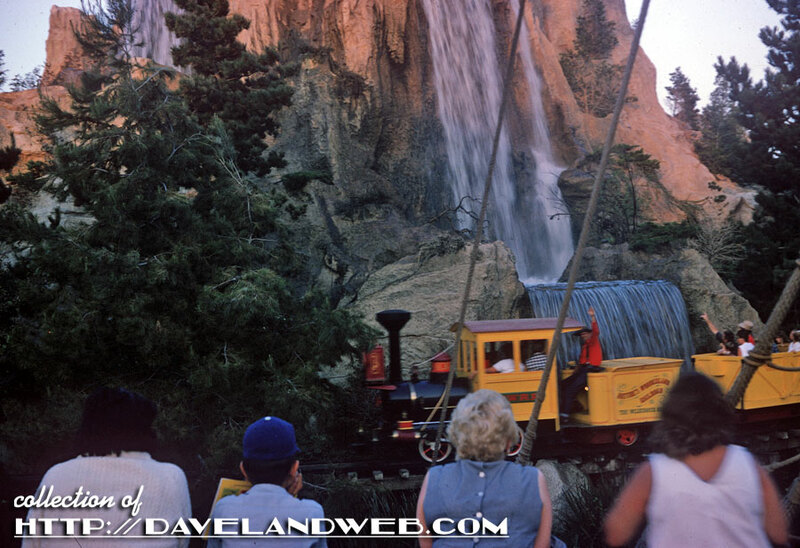 Located near the Mark Twain dock, this July 1963 image shows the Nature's Wonderland Railroad cruising around the mountain and its thundering waterfall. Thundering is right; this is no mere trickle like the current Schweitzer Falls at the Jungle Cruise. 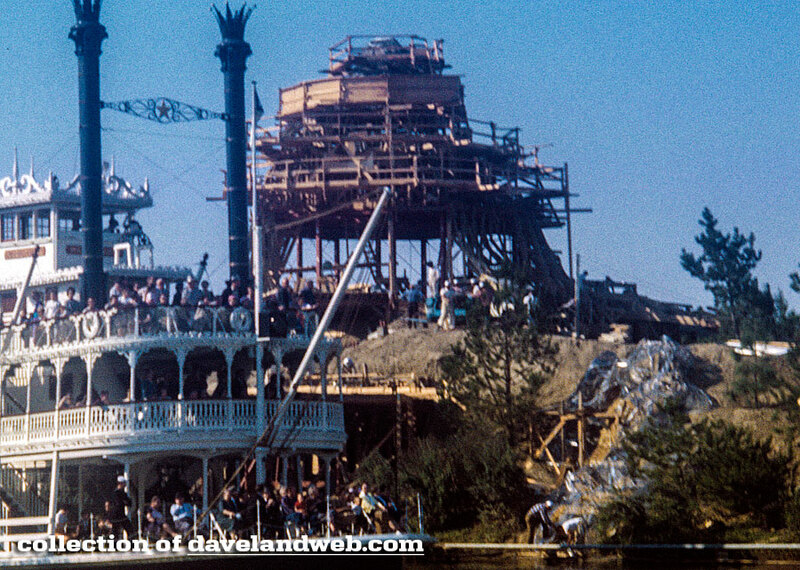 Take a look at this May 1963 shot. That's water pressure! Of course over the years the waterfalls took their toll on the manmade mountain, and in an era of Disney Corporation cheap, the decision was made to level it. Cascade Peak was no more in 1998. 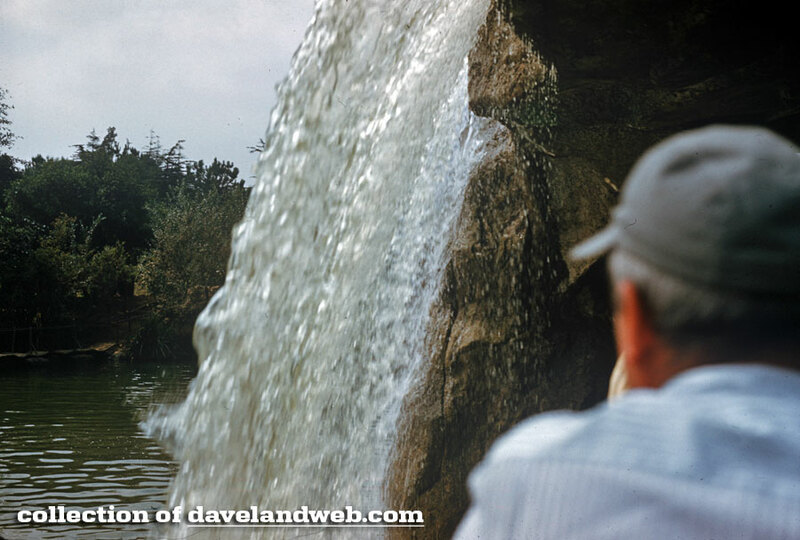 So I say "hurray" to the return of waterfalls along the Rivers of America. 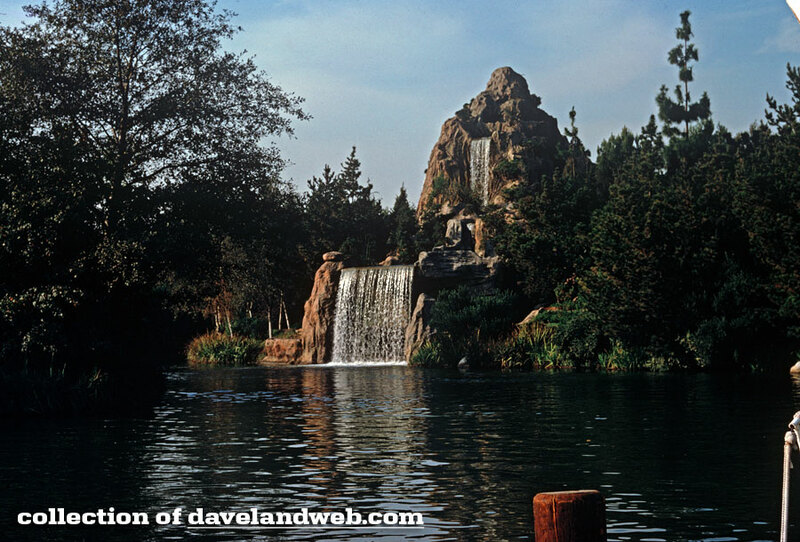 More vintage Disneyland Cascade Peak photos at my main website. 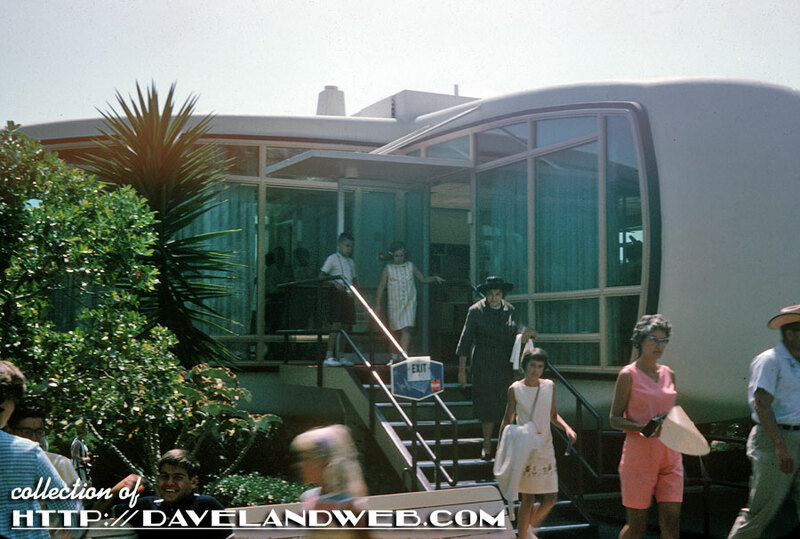 These two images show guests exiting the Monsanto House of the Future at Disneyland, July 1963. 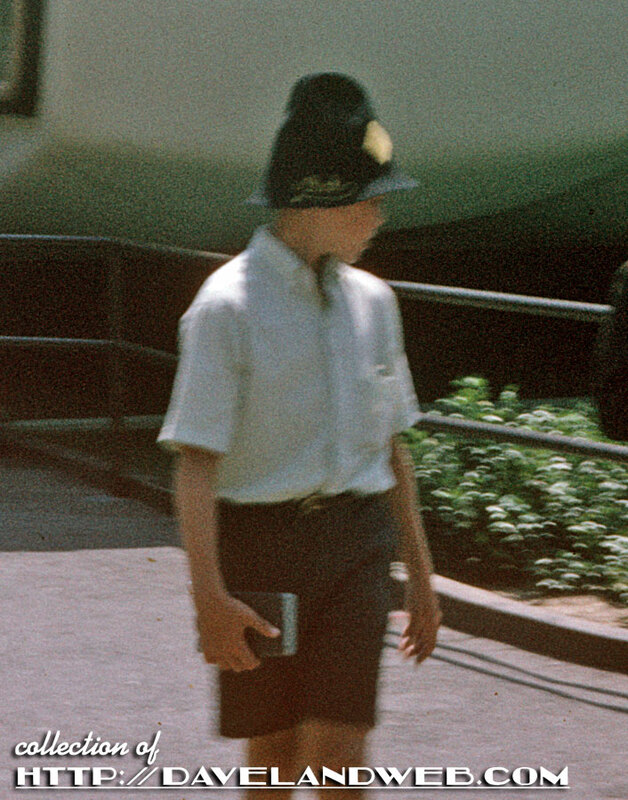 Zooming in on the first shot, the little boy appears to be wearing a souvenir hat with his name embroidered on it. 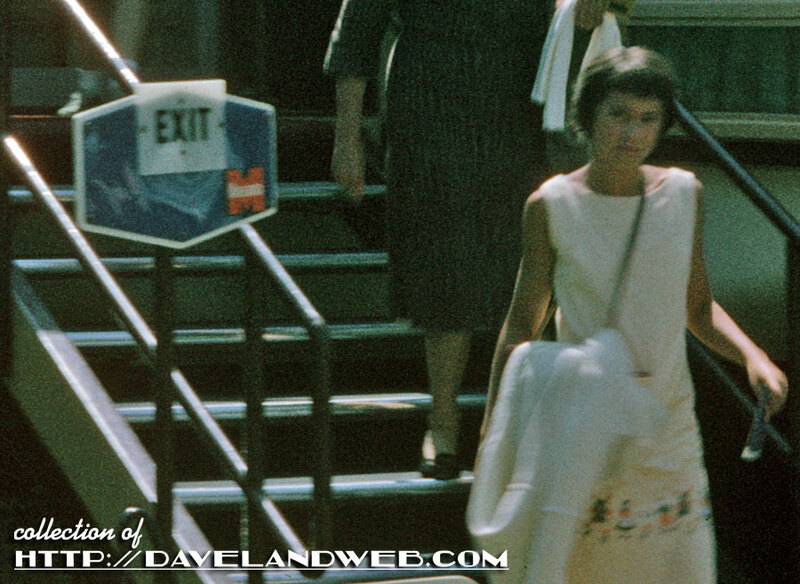 I wanted a closeup of the exit sign for this second detailed view, but I also wanted to see if the imprint on the little girl's dress was Disney or not. Too blurry to tell. 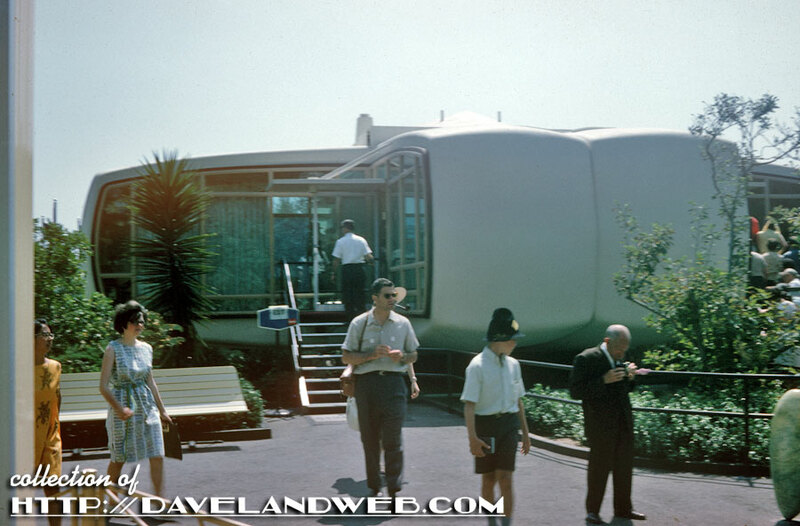 More vintage Monsanto House of the Future photos at my main website. 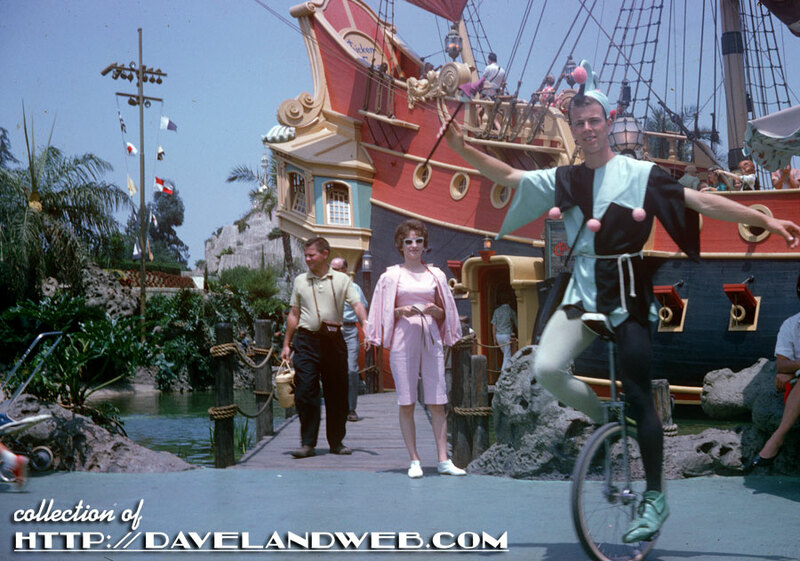 It's been almost 3 years since jester/unicycler Christopher Fair has appeared at Daveland. 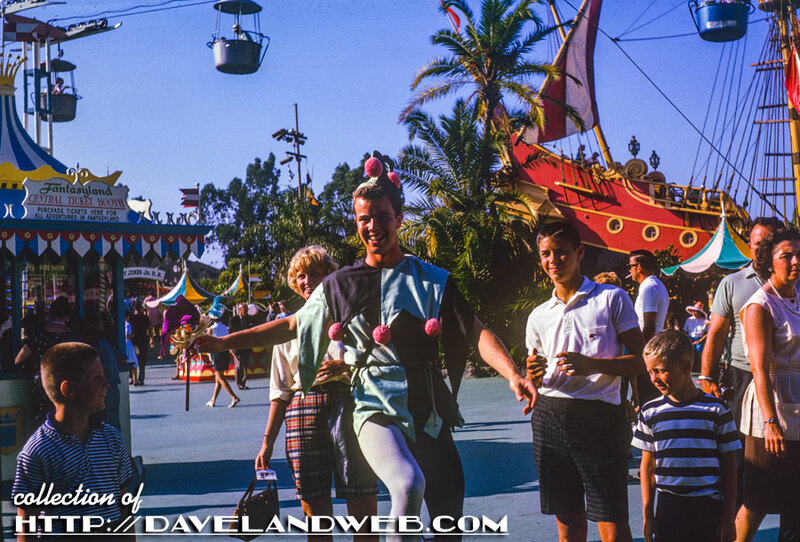 Today's July 1963 image shows him cruising by the Chicken of the Sea Pirate Ship in Fantasyland. Mercifully, the stroller on the left-hand side of the shot is almost completely out of view. Phew. 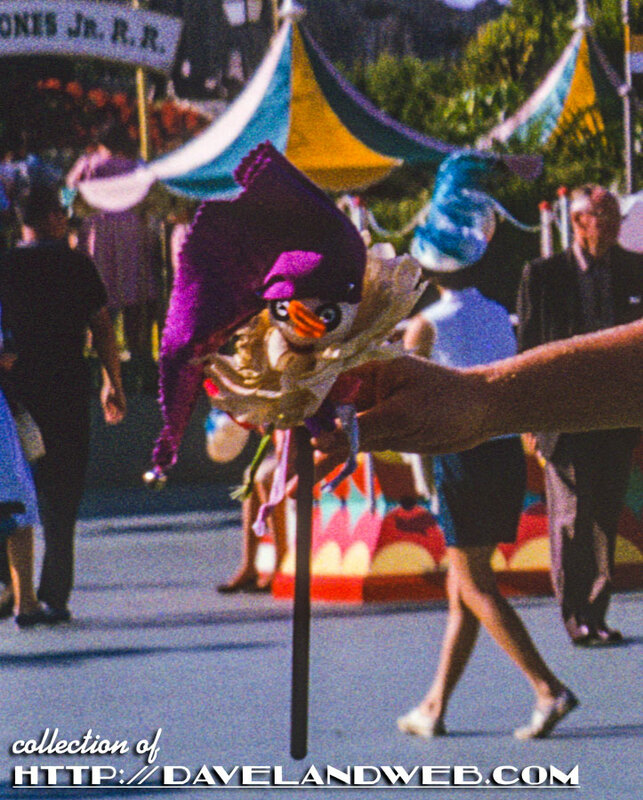 Here's a closeup of the stick he's holding; the mini-jester head on top is reminiscent of the Jack-in-the-box car antenna toppers. Which came first?!? 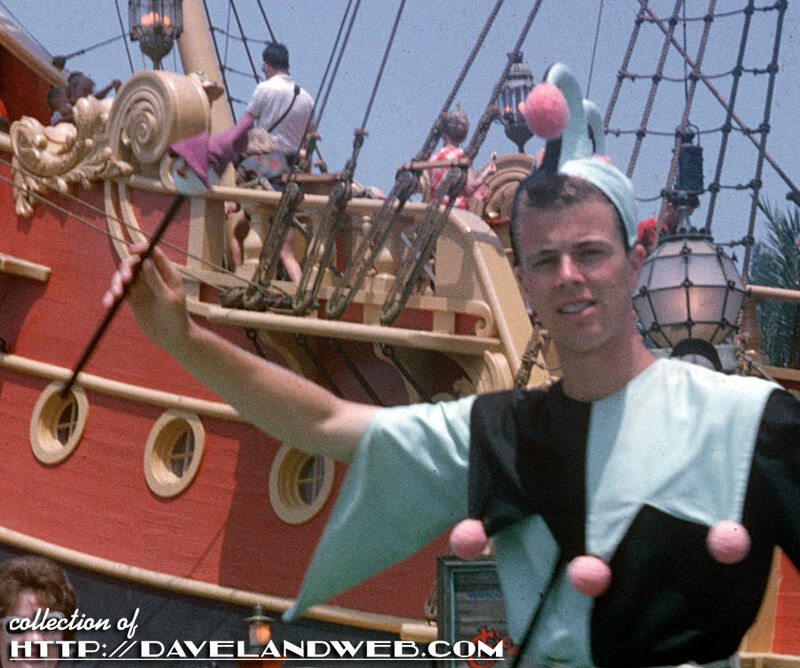 More vintage Chicken of the Sea Pirate Ship photos at my main website. 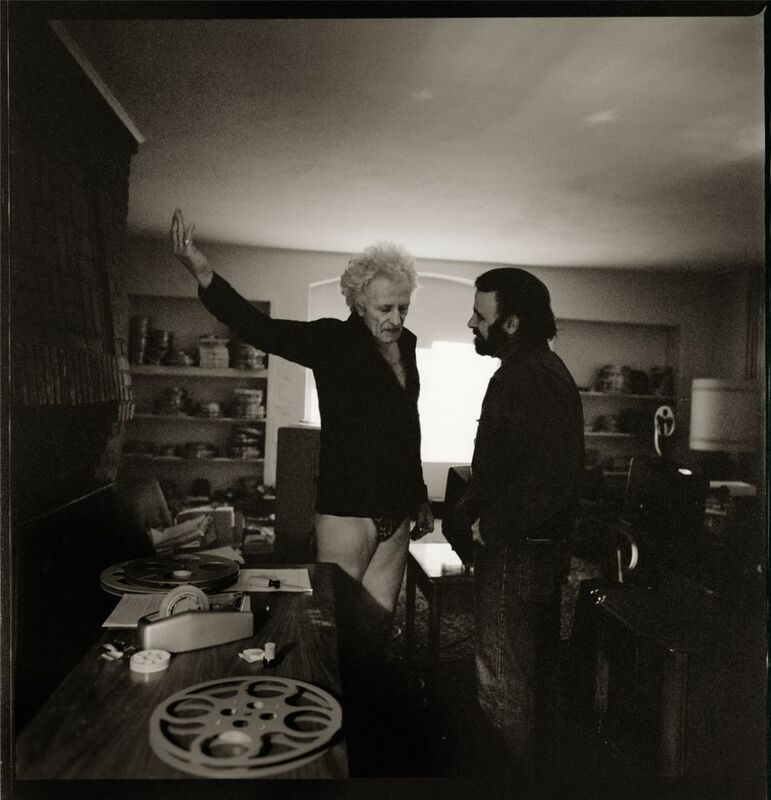 Being a huge admirer of James Dean and a complete nut about the Chateau Marmont, I knew that eventually I would stay in The Director's Bungalow, thus named for the Director of "Rebel Without A Cause," Nicholas Ray. He took up residence there during the 1950's and even held rehearsals and script readings inside the Bungalow. That's a lot of film history and I knew I wanted to soak that up first hand. 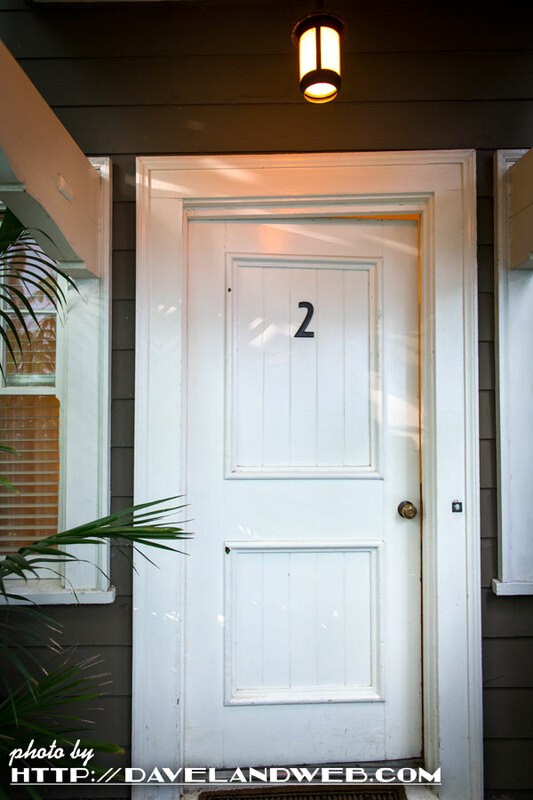 Bungalow 1 and Bungalow 2 are next door to each other; in everything I have read, #2 is the one credited as being Ray's residence. Even the employees of the Marmont will tell you the same thing. I have stayed in Bungalow 1 twice; once back in 2002 and again for my 50th birthday in 2014. This year, I decided it was time to stay in Ray's Bungalow. 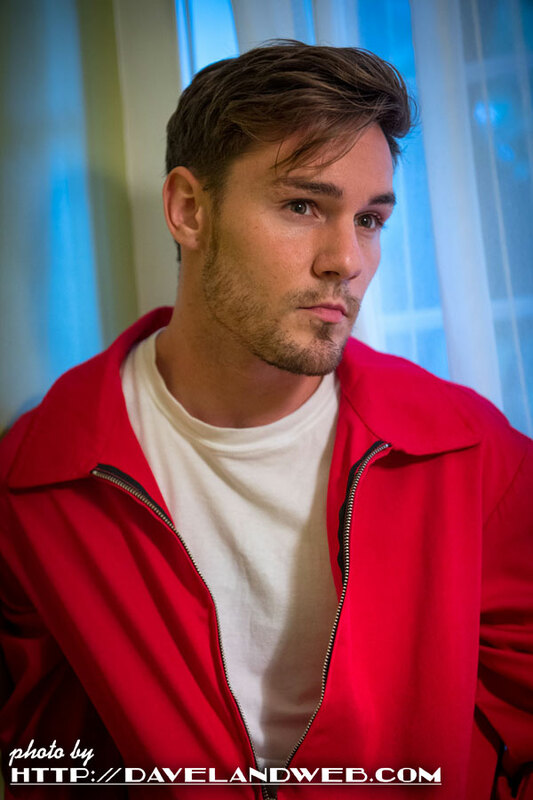 Of course I wanted to take photos; I also wanted to do an homage to James Dean, Natalie Wood, and the movie Rebel. 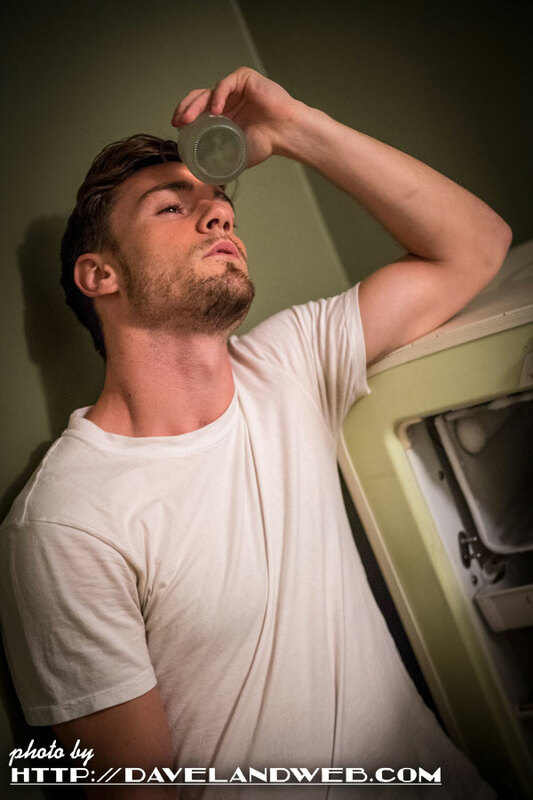 Dancer/actor Matt Marr stood in for Dean; model Andrea Bazzani played Wood, adding her pinup style to the role. Given a facsimile of the script and wardrobe from Daddy-O's vintage-inspired clothing, they both studied the pages intently. 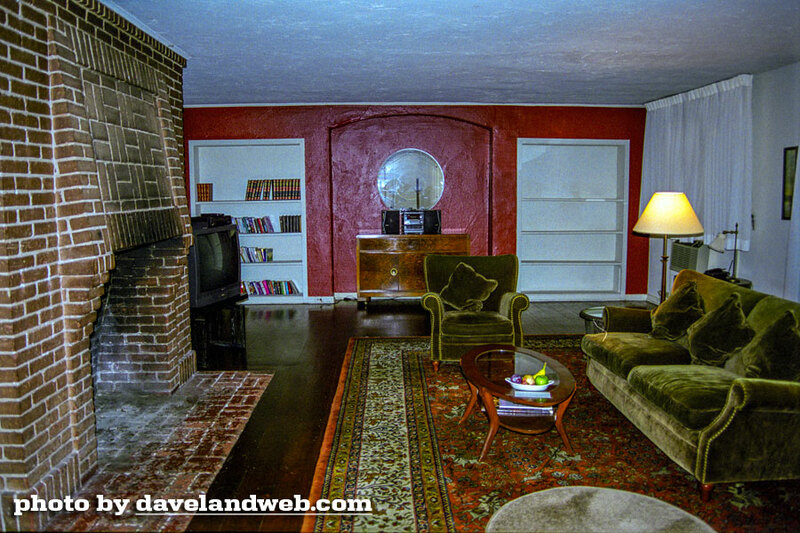 I'd read that the living room in "Rebel" where Jim Stark's (Dean) family lived was modeled after Bungalow 2. Have to get a shot on the staircase, right? Something didn't look right though; walls were on both sides of the steps. This didn't really look like the one in the movie. I figured the Bungalow had probably changed over the years and possibly a wall was built to give a little privacy to the staircase that led directly to the upstairs master bedroom. Sounded good to me. I continued to shoot. In the kitchen, Andrea could definitely make the teapot boil a lot faster, especially in the skirt and top she was wearing from Vixen by Micheline Pitt. Here are the duo again, continuing to go over the script. 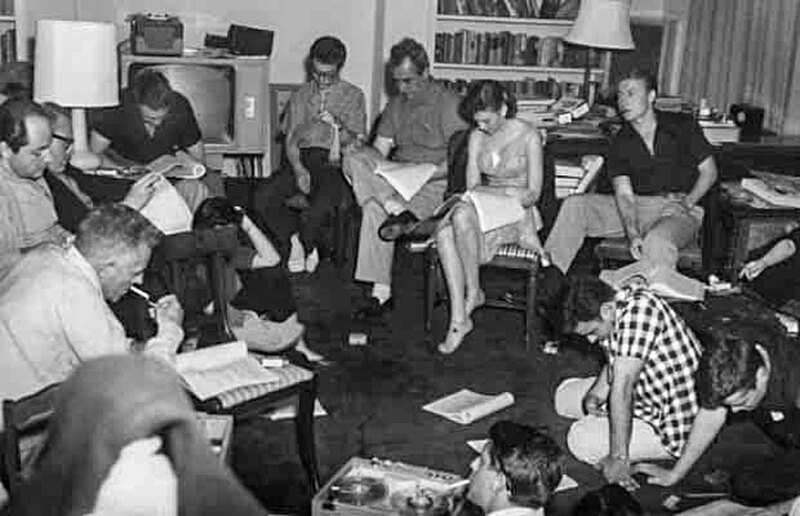 This time, they are in the living room where the entire cast once read their lines back in 1955. Again...this just didn't seem right. The living room was not big enough for that kind of a get together. 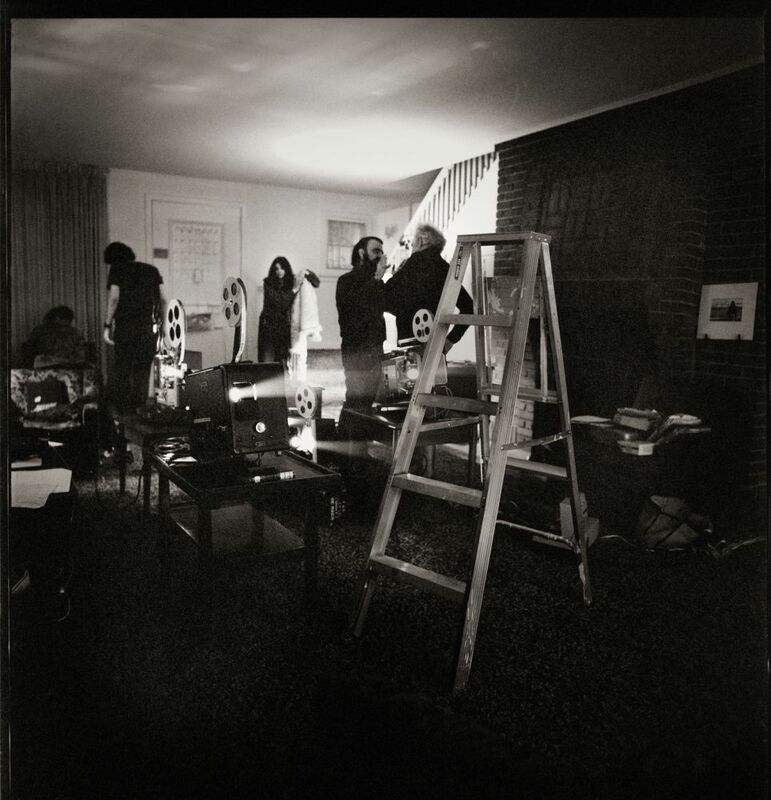 When I got home, I began to do some research for my post, locating this vintage image of the cast in Bungalow 2. 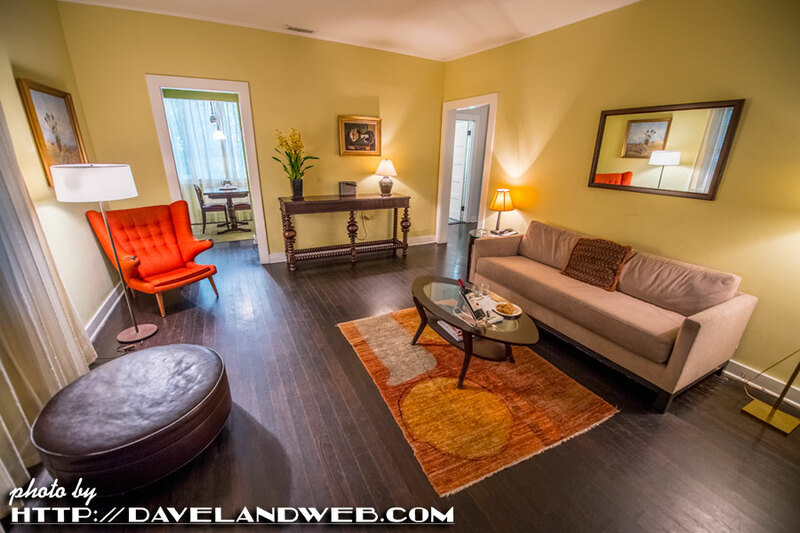 I just could not orient this room and get it to match where I'd just spent the weekend. There were no built-in bookshelves like this. 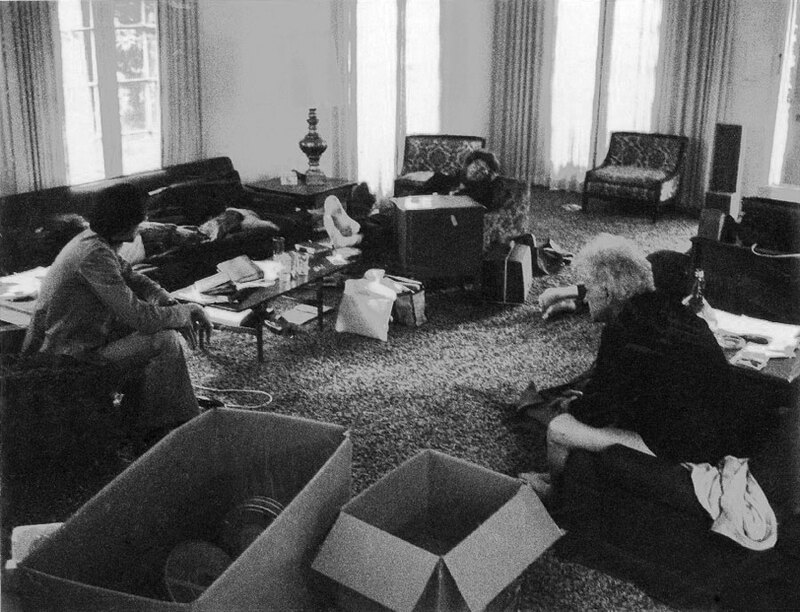 I also read an article by Andy Romanoff, who had photographed Ray when he returned to the Chateau in 1973, taking up residence in his former Bungalow. Again...this did not look like Bungalow 2. Bungalow 1 though proves to be a twin. Houston...I think we have a problem! Here, Ray talks to Frank Mazzola, who played one of the gang members in Rebel. Bungalow 1 matches the vintage shots very well...and the staircase is also a better match to the one in the movie! Oh, it makes my head spin. All this time I had been believing what I read instead of believing my own eyes. I had missed two opportunities to do a "Rebel" shoot in Bungalow 1. 3. The book "Life at the Marmont" written by former owner Raymond Sarlot. 4. 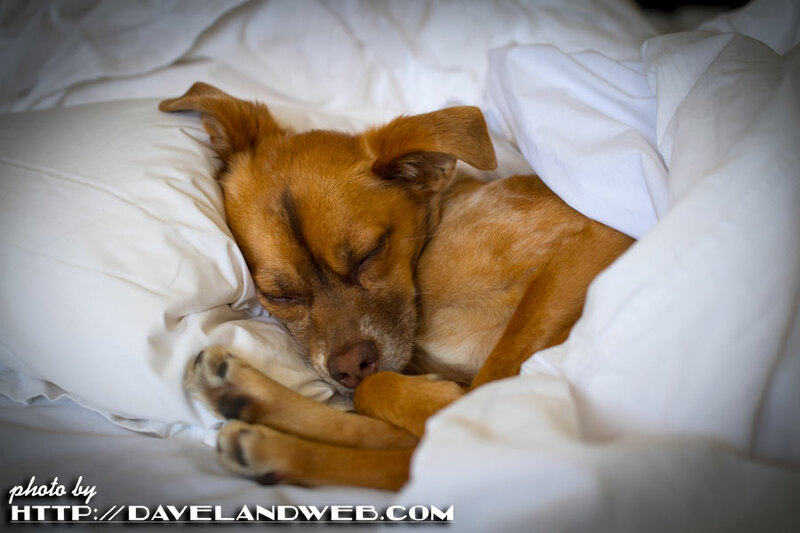 "The Hollywood Handbook," edited by current Chateau owner Andre Balazs. 5. "The Making of Rebel Without A Cause" by Douglas L. Rathgeb. This just makes me really tired; if only I could return to the comfortable bedding of Bungalow 2...or was that Bungalow 1? Only Willis knows. 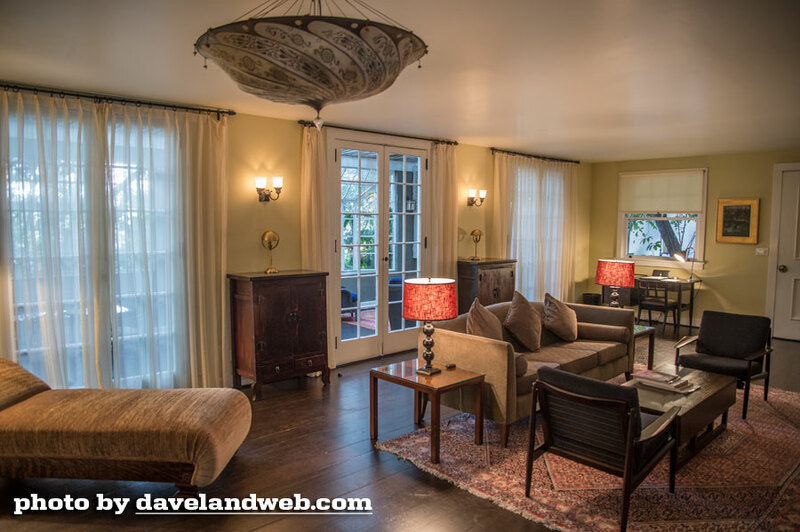 More Chateau Marmont photos at my main website. 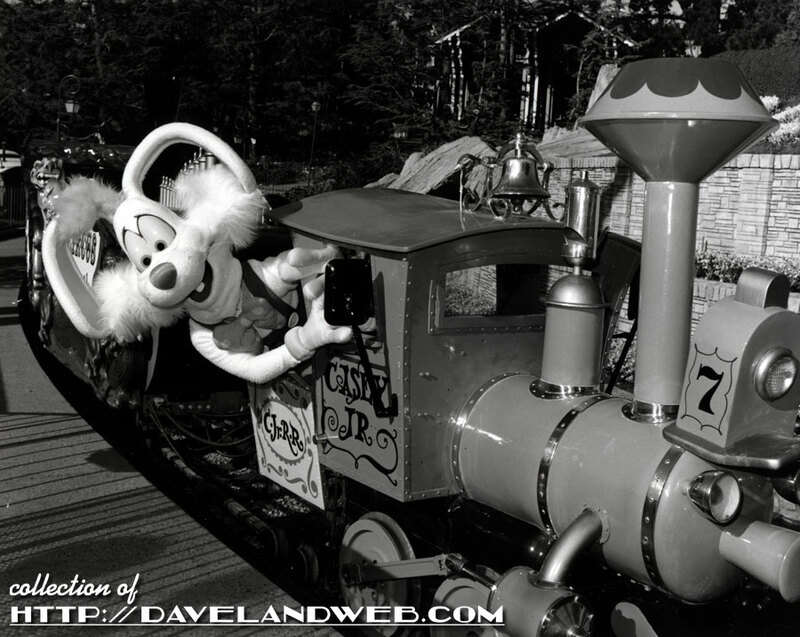 "TOP-NOTCH TOON—Roger Rabbit climbs aboard Disneyland's "Casey Jr. Circus Train" for a trip around Fantasyland." Talks began immediately about a sequel, which ended up getting stuck in development Hell. Meanwhile, Toon Town opened at Disneyland in 1993. When it became evident that the sequel wasn't going to happen, Roger kind of lost gas at the Park. In 2016, Director Robert Zemeckis was quoted as saying "The current corporate Disney culture has no interest in Roger, and they certainly don't like Jessica at all." 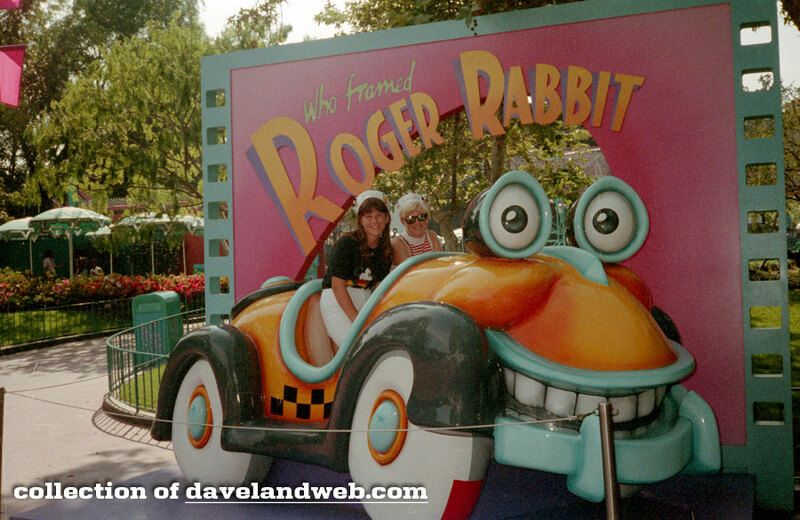 You can read more about Roger Rabbit at Disneyland at my main website. 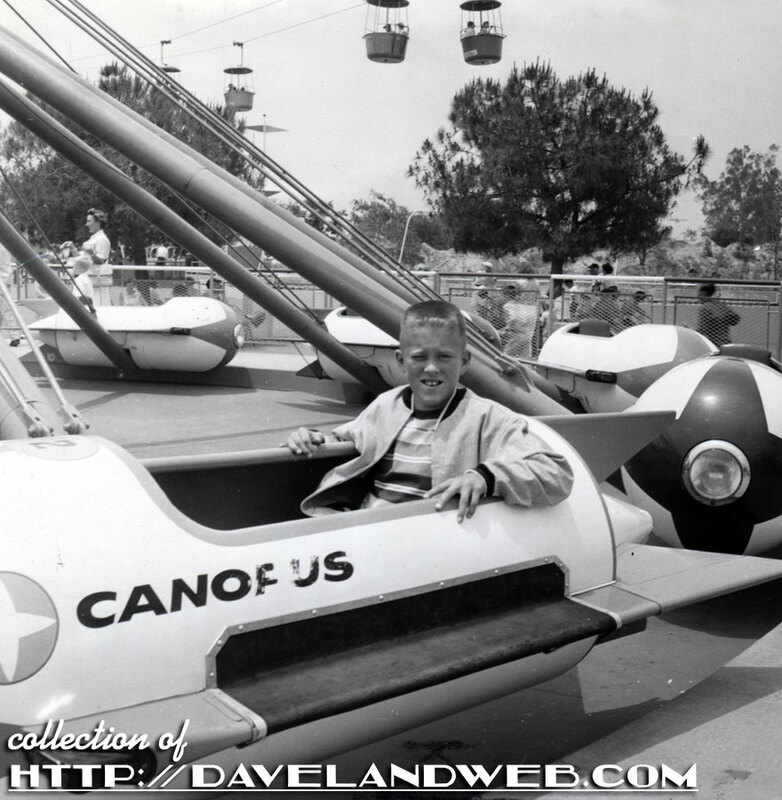 Labels: benny the cab, Casey Junior, Fantasyland, roger rabbit, vintage disneyland photo, who framed roger rabbit? 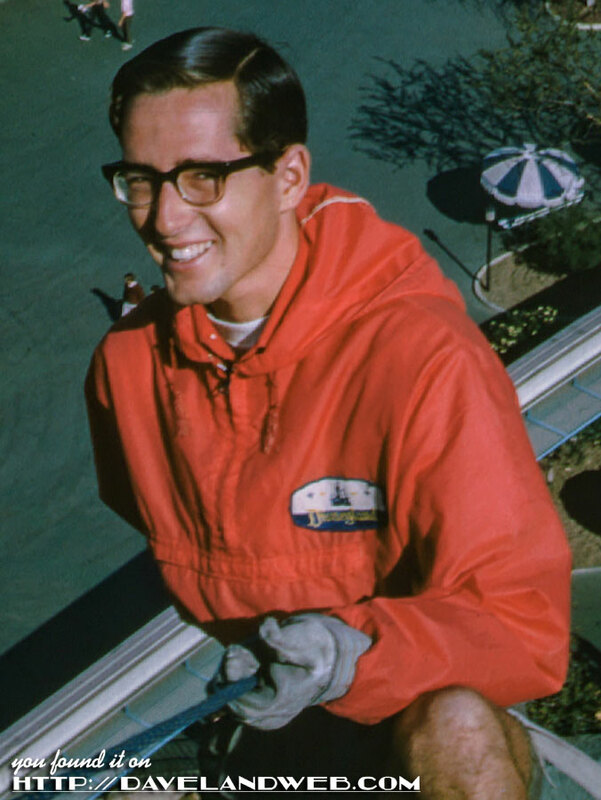 Enjoying a ride on a rocket plane at Disneyland, south of Los Angeles, is Mike Malloy of Kellogg, Idaho, one of the Chronicle junior dealers who won an all-expense-paid trip to California by getting new subscriptions. Can you imagine how many newspapers that would take today to win? More Astrojet photos on my main website. The most ambitious Disneyland project in the upcoming "Disney Decade" will be the addition of "Hollywoodland" to the Anaheim theme Park. 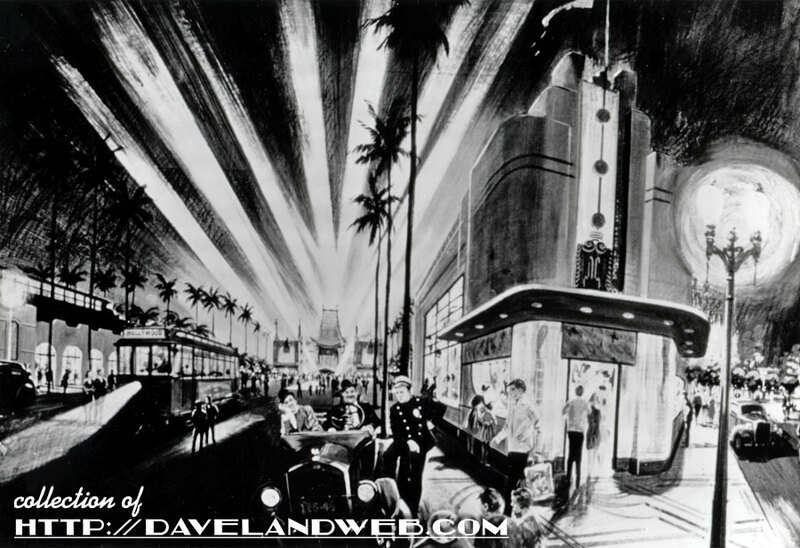 The new land, inspired by the success of the Disney-MGM Studios in Florida, will include a fantasy version of Hollywood Boulevard, Disneyland's own version of Florida's "Great Movie Ride," Roger Rabbit's Toontown, and "The Adventures of Baby Herman." 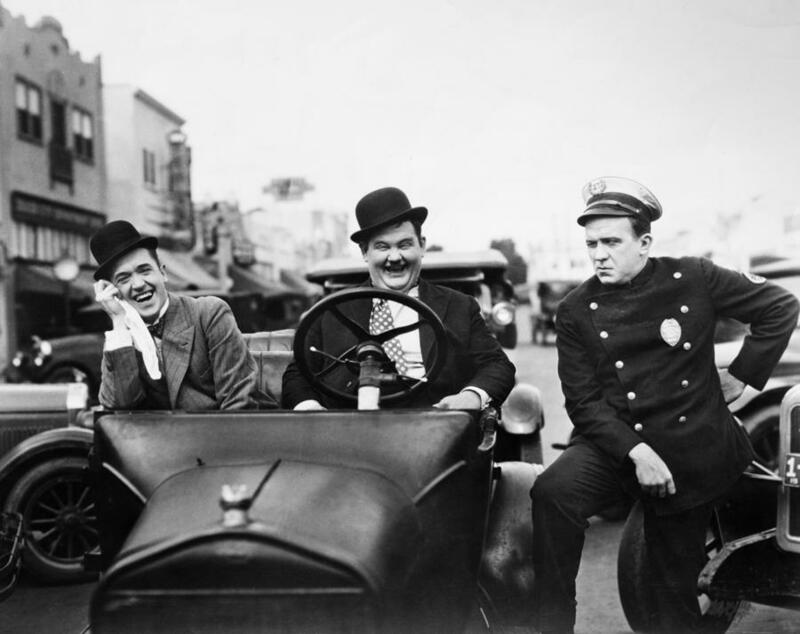 So what happened to Hollywoodland? Looks like it bit the dust when the idea for Westcot came to be. What's Westcot? 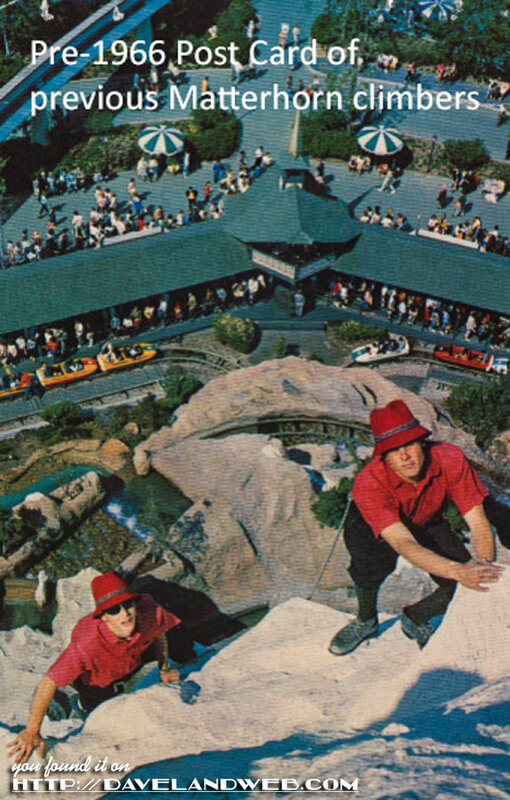 It was to be the west coast version of EPCOT. It also bit the dust. Instead, in 1993 Disneyland got Toon Town (without a Baby Herman attraction) and in 2001, Disney California Adventure debuted giving us...Hollywood Pictures Backlot. 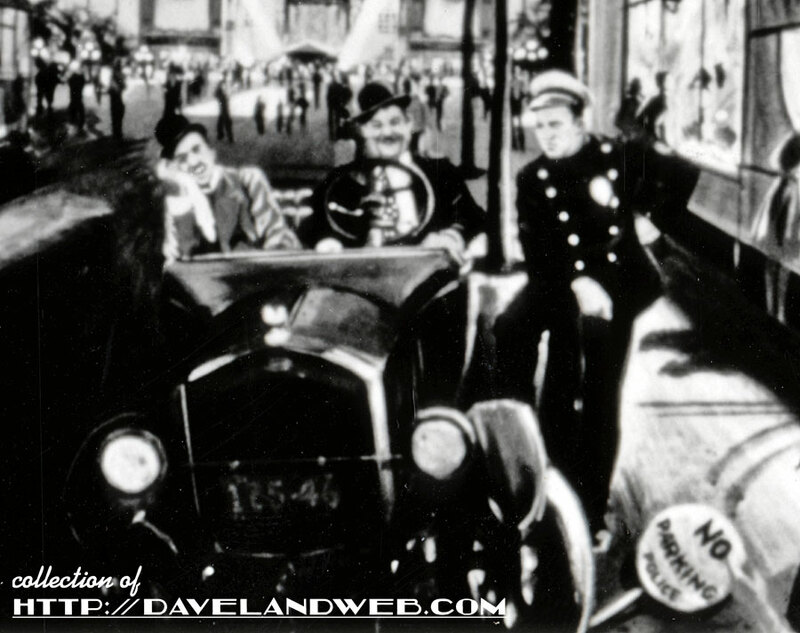 Just like a backlot, there was absolutely nothing behind the facades. More DCA photos at my main website. I get a fair amount of emails; typically somebody wants me to put a value on their cherished family photo or plush Mickey Mouse toy so that they can proceed to auction and (hopefully) reap the financial benefits. Yawn. Then, there are those exciting emails that make me jump with joy and remind me why I have put together the Disneyland pages on my website. 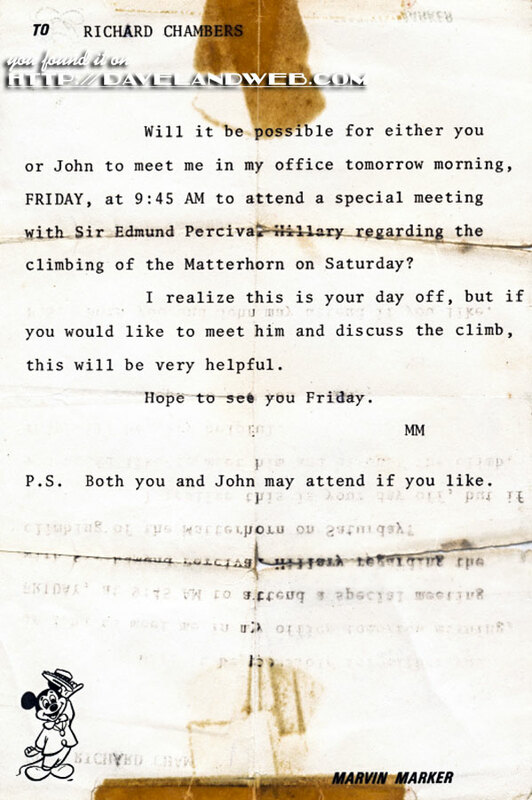 The most recent email like that came from Richard Chambers, who climbed the Matterhorn back in the day. 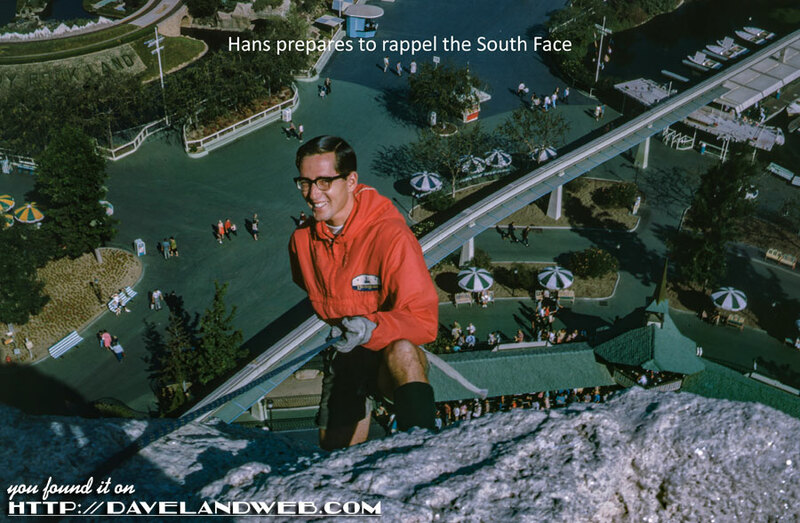 As I recall sometime in the late spring of 1966, I was recommended for one of the Mattterhorn mountain climber jobs by Fred Burri, the Disneyland Swiss yodeler, who just happened to be my gymnastics coach at Mt. San Antonio College. Because two positions were available, I recommended a friend and fellow rock climber, John Artherton, for the other opening. John and I interviewed sometime in May 1966, which was held in an office above the train station near Disneyland’s main entrance. We were asked to come back and do our “training” climbs with one of the formers climbers, who’s name I forget. After two climbs, one on the east face overhang, and the other on the south side which faces the Small World, we were hired. What sort of work do students undertake during the summer? 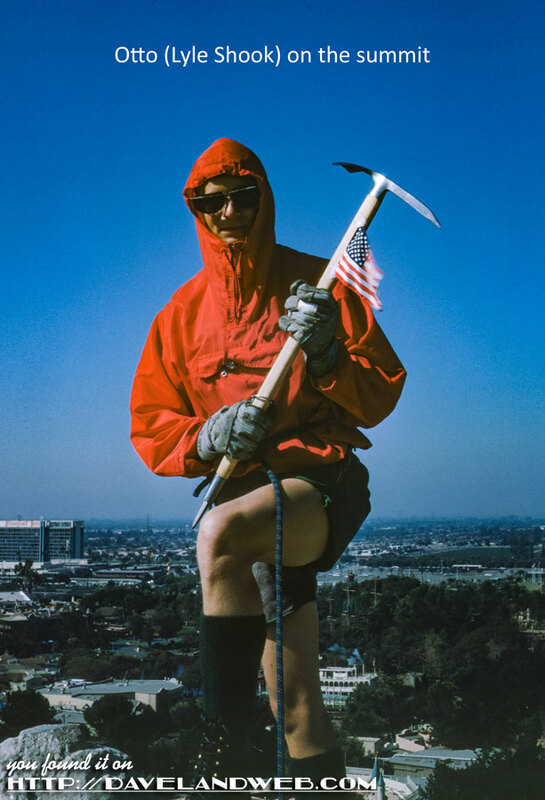 Two Pomona youths climb a mountain 10 times a day, six days a week. 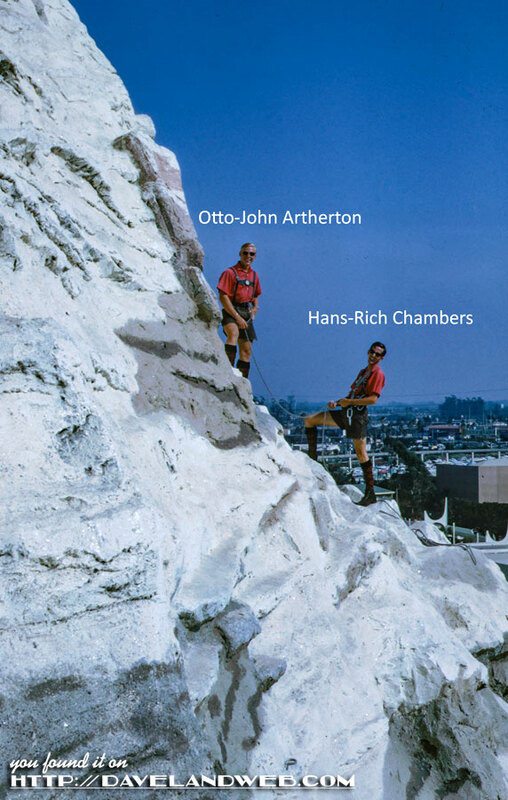 Richard Chambers and John Artherton, known as Hans and Otto when they're working, spend their days scaling the 147-foot, man-made Matterhorn at Disneyland. Chambers, 19, is the son of Mr. and Mrs. Robert F. Chambers of 1352 Lincoln Ave. 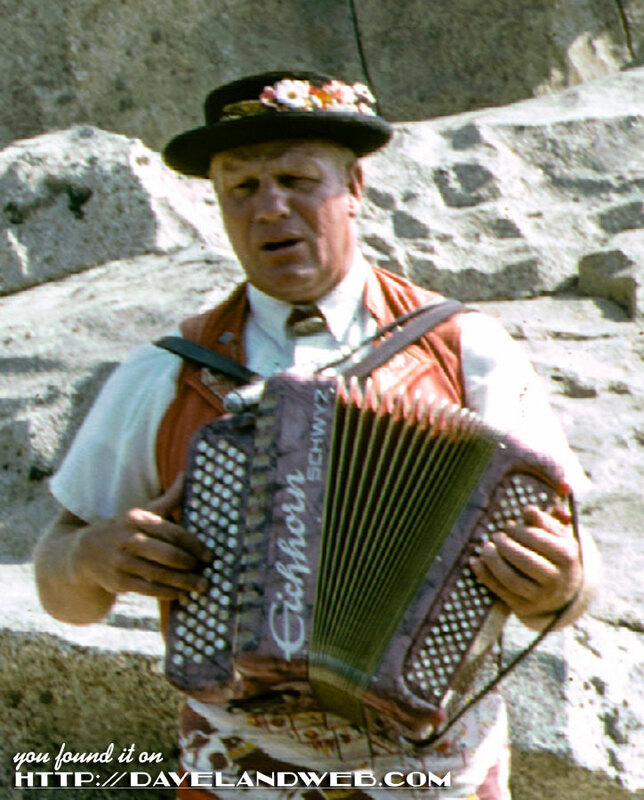 He was suggested for the lofty job by the park's Swiss yodeler, Fred Burri, Chambers' gymnastics coach at Mt. San Antonio College. Atherton, son of Mr. and Mrs. James A. Artherton of 1748 Bonnie Brae St., was invited to join his friend and fellow climber in the job. The pair, both experienced alpinists, use standard climbing techniques on the park attraction. Both compare it to real mountains they have scaled. They can climb the Matterhorn by three different routes. Each way is dangerous without professional training. Chambers is a chemistry major at MSAC (Mount San Antonio College). He started mountain climbing on family camping trips and later took lessons at the Grand Teton National Park in Wyoming. Artherton began climbing about two years ago with the Sierra Club. He was graduated this year from Pomona High School. He plans to enter Redlands University as a chemistry major in the fall. The article was fairly accurate, except I didn’t start climbing on family camping trips. We worked about a 6-hour day, six days per week, climbing the mountain 10 times a day and paid about $1.75 per hour. It took us a few weeks to become familiar with the main routes, the overhang and south face. Eventually we did many different routes, including full traverses of the mountain. To finish the climb, we rappled the south face to a small ledge and disappeared into the side of the mountain. 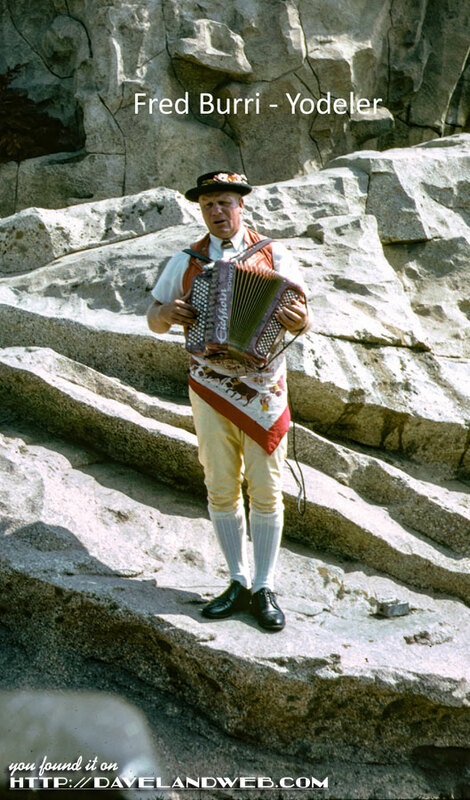 During our climbs, Fred would come out onto the mountain with us announcing the climbs by playing a Swiss Alpen horn, singing and yodeling while we climbed. 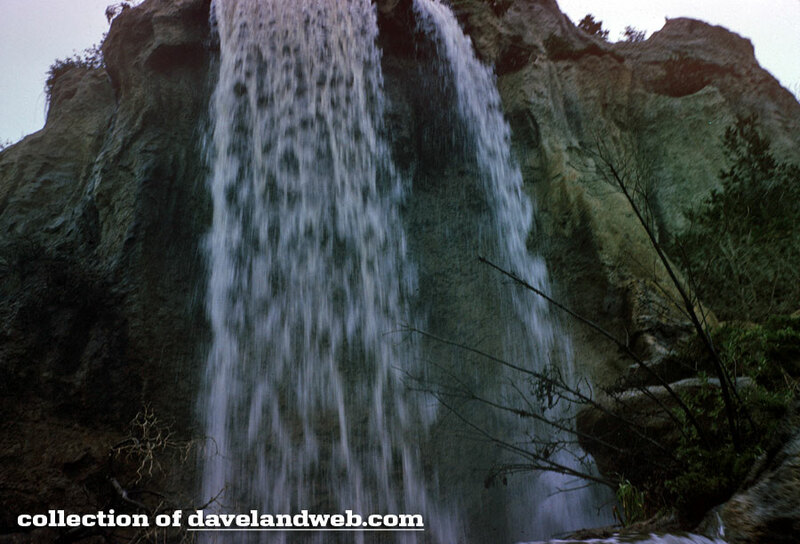 One day John and I decided to do something special for one of my overhang falls. He let me drop more than usual and I pretended to be injured. John tied me off and then Fred Burri, the yodeler, belayed John up to me to make it appear as a rescue. After a few moments, I “revived.” When I finished the overhang, I was met by several Disney personnel (about 6), including paramedics on the top. I informed them it was all part of an act; they weren’t amused. After getting chewed out, they told us not to do that again unless they were forewarned. Needless to say, we drew a huge crowd at the front to the Matterhorn. 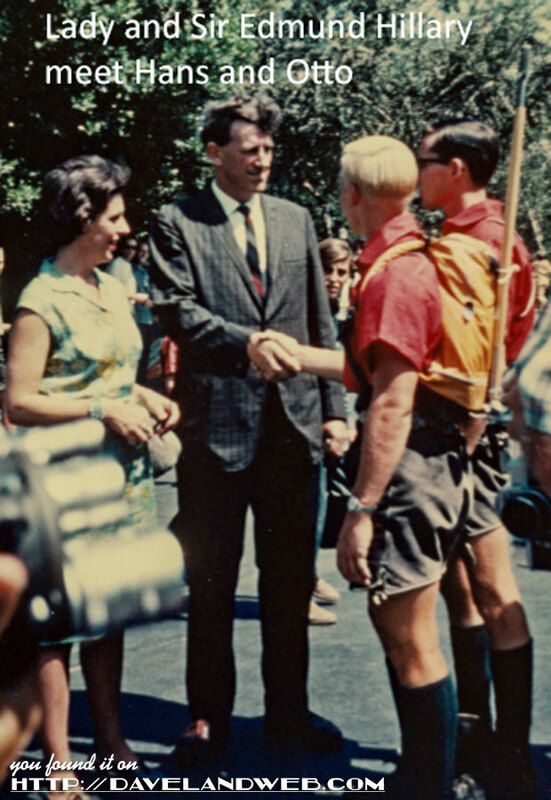 John and I had the pleasure of meeting Walt Disney, in his office, before he passed away on December 15, 1966. 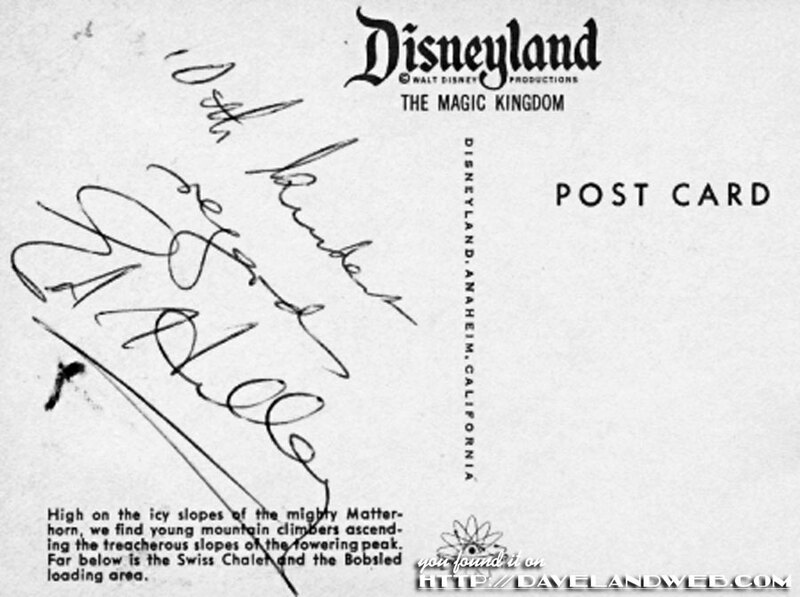 The Park never closed for his death or funeral, which was Walt’s request. It was a sad day for the Magic Kingdom. John and I weren’t the only climbers during this time period. Lyle Shook took John’s place during the winter of 1966-67, while John attended college. Scott Little and Brian (I forget his last name) also worked as substitute climbers. 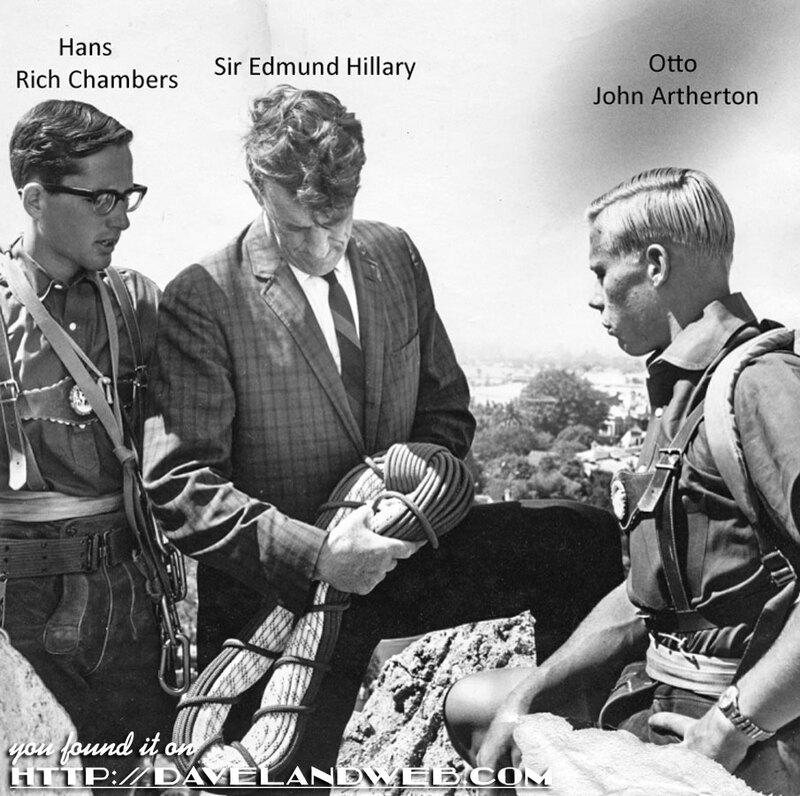 SIR EDMUND HILLARY, one of the first two men to climb Mt. 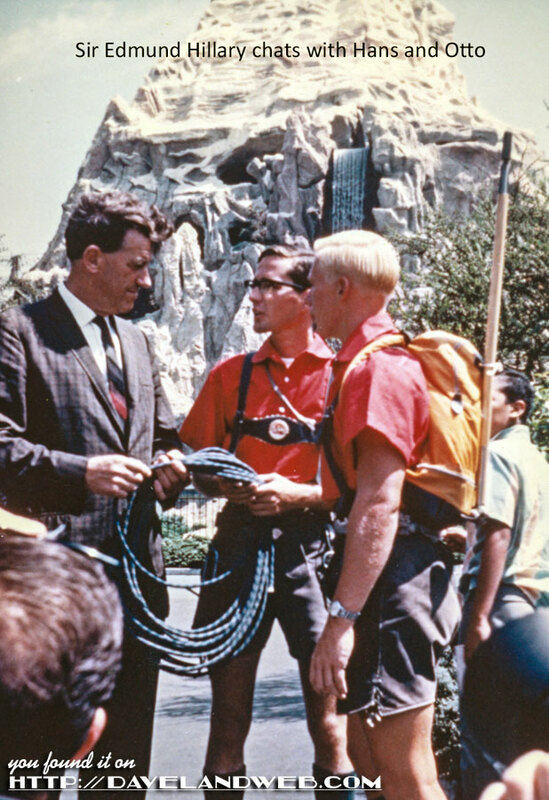 Everest, highest known mountain in the world, pauses during his visit to Walt Disney's Magic Kingdom - Disneyland, Anaheim, California, U.S.A. to check some of the equipment used by Hans and Otto during their daily ascent to the top of the Matterhorn Mountain. In March 1968 I had to quit my job because I transferred to the University of Montana to finish my geology degree. John continued working until November 1969 when he joined the military. When we weren’t climbing the Matterhorn, we spent time climbing at Big Rock, Tahquitz, Suicide, and Joshua Tree. I also did numerous first ascents in the Bitterroot Range while in Montana. I am SOOOO grateful to Rich for sharing his AMAZING collection and even more important, his memories of climbing the Matterhorn at Disneyland. More vintage (and contemporary!) Matterhorn photos at my main website.